Bali has a caste system. It’s far simpler than the Indian caste system and is comprised of the following: proletariat (peasants), merchants and administrative officials, nobles and warriors, and at the top of the pyramid — priests and holy men. Most Balinese belong to the peasant caste, predominantly working in the rice fields, which make up around 90% of the locals. Green rice fields on outskirts of Kuta. 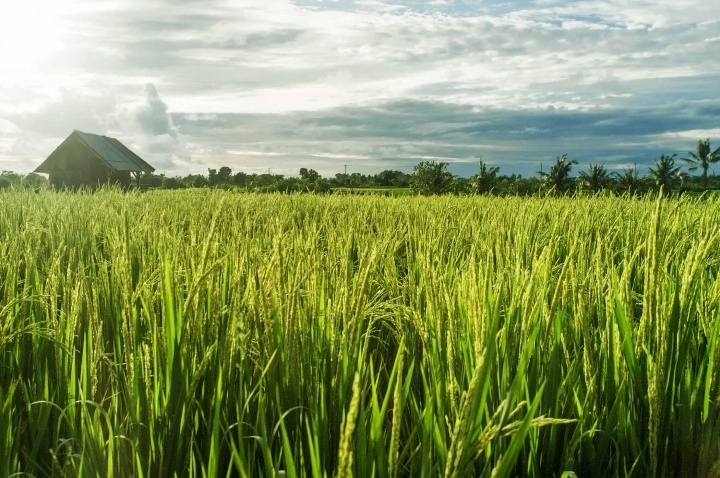 For many centuries Bali remained an agrarian society. 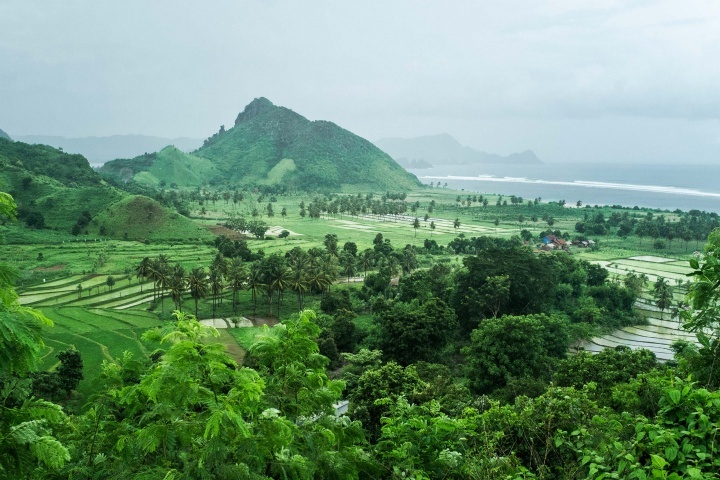 While everybody else in the archipelago was involved in the long complex, politicised process of spice trading through the “Silk Road” to Europe, the Balinese grew rice and other staple foods on its land. 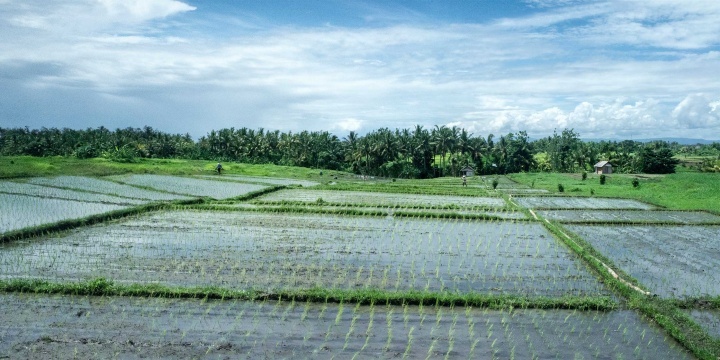 Kuta has very few rice terraces but these are tended to tirelessly by the hardworking locals. Watery rice paddies around South Kuta. Instead Kuta is full of concrete streets and white flesh. Kuta is so white that the presence of Balinese locals is at a bare minimum. Kuta is so white that locals have even stopped praising the gods. Proof of this is shown in the absence of penjor. Usually every street in Bali is strewn with penjor, except in Kuta. 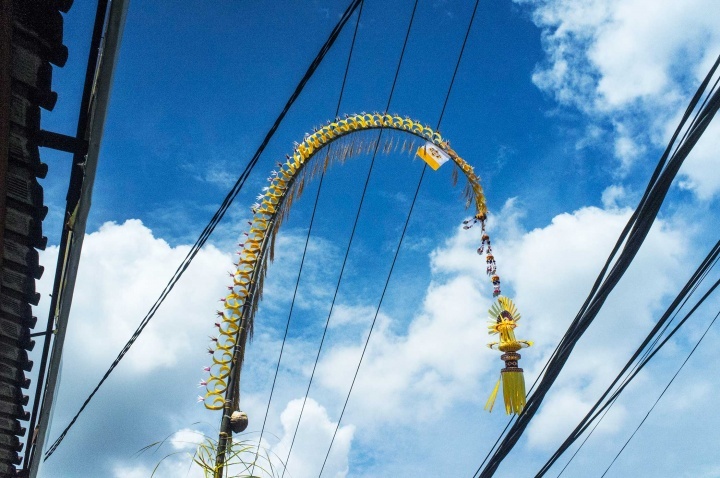 Essentially penjor is a tall, curved bamboo pole decorated with yellow coconut leaves, roots, fruits and flowers, with an offering at the base. According to the Sri Jaya Kasunu manuscript a penjor symbolises a mountain and the mountain itself is the symbol of the universe. Therefore, for the Balinese penjor is a symbol for Mount Agung, the highest and holiest mountain in Bali. Erecting penjors shows devotion to God in his manifestation as the God of the mountain. Mountains with deep forests hold water, which flows into rivers, which then fulfils the needs for irrigation and drinking. Today Kuta is at the centre of mass tourism in Bali and the first place tourists tend to hit on the island. Many say that Kuta went through a dramatic transformation which has influenced tourism here, and especially deals for Aussies who come to enjoy the waves, beaches, resorts and booze. Denpasar and Kuta are substantially different places. Kuta was previously a fishing village, deliberately transformed for tourism and which has now lost its sense of local culture and tradition. Coming here for culture, temples and quiet beaches would be a mistake, as the ‘Balinese vibe‘ has slowly evaporated from Kuta. The town, with its predominantly white visitors, night clubs and hotels, has become a mess that serves as a permanent playground for hundreds of tourist. 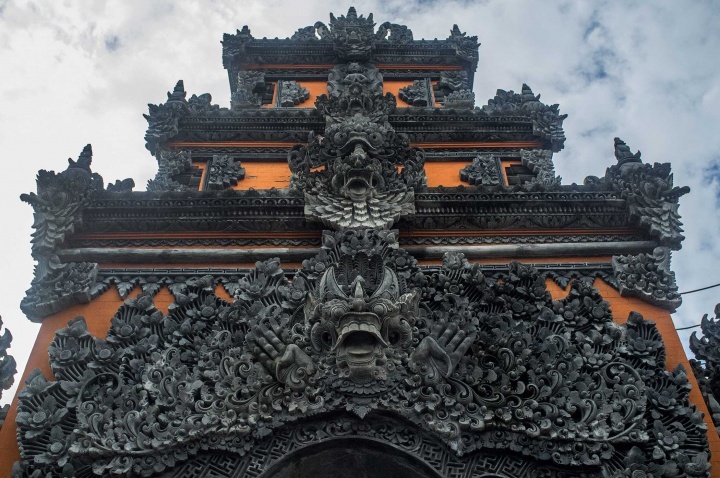 Balinese Buddhist arch in a touristic spot. Kuta’s trash-filled beach makes swimming in Kuta similar to splashing in a polluted swamp. Kuta is a place for cash, taxis, guides and scams aimed at holidaymakers. At night Kuta’s streets are filled with vomiting vacationers who don’t think twice about pouring beer down their throats. 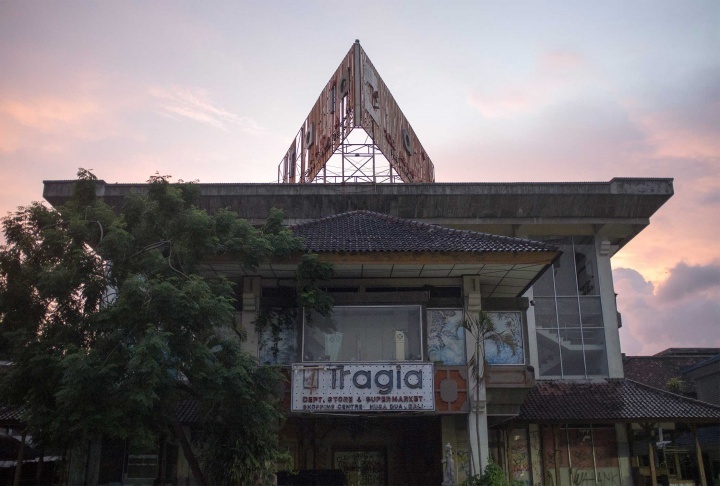 Kuta is a place where two explosions once took the lives of over 200 tourists. 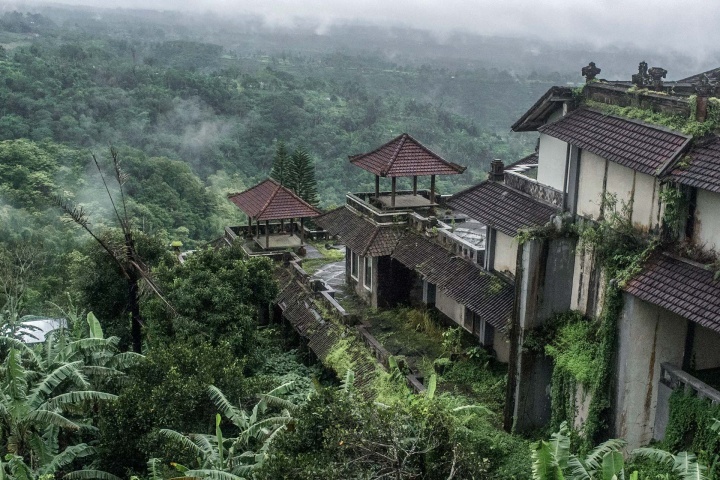 Kuta is a discord between the image of what once was a beautiful land of agricultural fields, but is now replaced by an alien landscape of disfigured, untidy houses. Kuta is anything but Bali. So really the best thing about Kuta is leaving it. Just a few miles away, in the outskirts of the town, away from the urban development, locals continue with their lives, ignoring the bustling tourist ghetto of wankers. They’ve seen how Kuta has changed over the years and stopped going there. 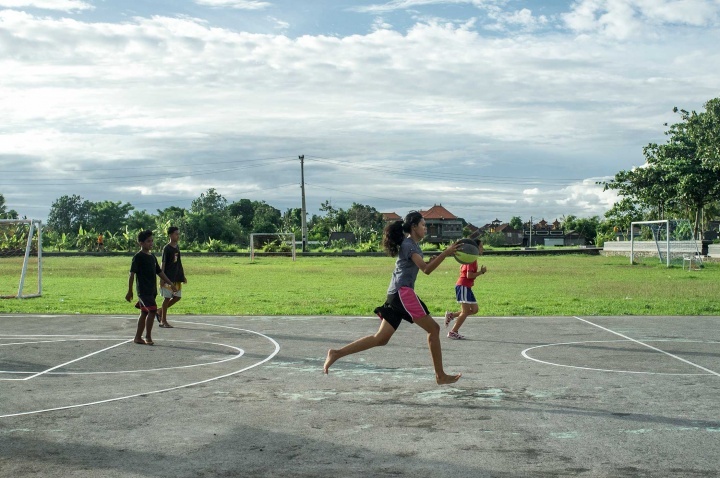 Local kids play basketball barefoot on a field in South Kuta. Brother and sister resting on the beach. Here the beaches are clean and quiet and the locals try to catch fish. Here there are deserted gardens and houses with mouldy statues. 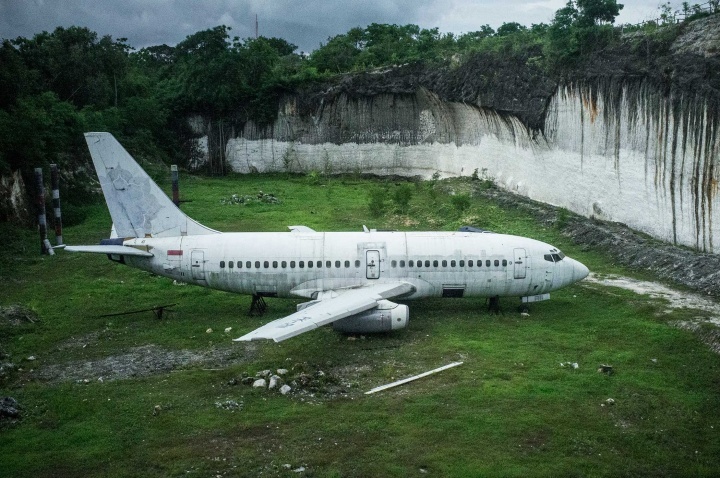 Here an abandoned plane sits on a privately-owned hectare of carved limestone hill, near Pandawa beach. At first this place isn’t visible, the area deepens and is fenced out. Rumour has it that it will be transformed into a cool hangout, complete with a restaurant and bar.